I live in Weymouth, Dorset, UK. Although l am 69 years old my friends say l look and act younger. I am single and have no children. I was a teacher in adult education teaching Psychology and Eastern and Western Philosophy which includes Buddhism and Taoism. I am also a musician and l play blues guitar and blues harmonica. I have many different interests which include personal and spiritual development, many types of quality music, psychology, sci fi films, art and Eastern and ancient cultures. I am a practicing Buddhist and l would describe myself as a spiritual man, who is loving, honest, caring and l have a great sense of humour. 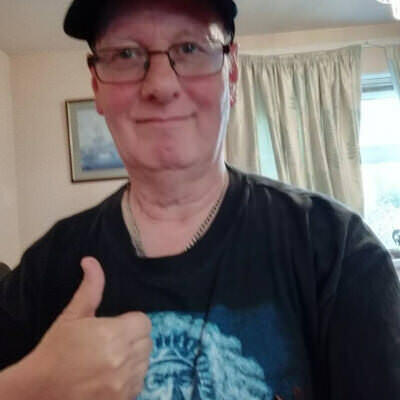 I am looking for a nice loving and caring lady with a sense of humour who is not dominating or controlling and wants a joyful lasting loving relationship. Jeff Beck, Eric Clapton, Santana, B.B.King, Albert King, Muddy Waters, Howling Wolf, Sting and dozens of other great singers and musicians. Spiritual development and psychology. Too many to mention here. Having a great laugh with my friends and family. Telling jokes and doing impressions of famous people. Life is one big joke isn't it? (although it can often be tragic and sad) That's the Zen Buddhist view anyway! Swimming well but never had time. To be Enlightened and share my life with a wonderful women. Honestly, loyalty, affectionate, sensitivity, a sense of humour, not controlling or dominating, romantic, loving, fun to be with, a good communicator, likes cuddles, fairly intelligent, caring and sympathetic, not too loud, but has a fair amount of gentleness and is attractive. I don't like to be too inflexible about this. It may be a good idea to go for a drink or meal in a quiet pub or restaurant, or perhaps meet by the sea or nice place where it's possible to have a quality conversation together.